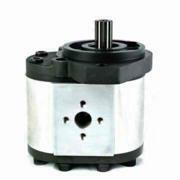 SAMT Hydraulics can supply all replacement Gear Hydraulic Pumps. Our manufactured Pumps are completely interchangeable with OEM products. SAMT Hydraulics aim to provide customers with best brands, competitive prices and fast lead times. We will offer clever alternative solutions to meet your demands. Our parts are manufactured with the best materials using advanced manufacturing facilities & skills, strict heat treatments, 100% quality certifications and covered by 12 months warranty. Provide us with your Pump part number and or serial number we will do our best to offer you a matching OEM pump or an equivalent interchangeable pump with competitive prices and quick delivery time. SAMT Hydraulics has extensive experience in the supply of hydraulic pumps, If you are looking to find a standard hydraulic pump, here at SAMT Hydraulics we have extensive access to both leading and niche hydraulic pump manufacturers from around the world. We also offer customised solutions for hard to find hydraulic spare parts for worldwide brands with competitive prices and quick lead times. Call SAMT Hydraulics today on (02) 9607 4100 for all alternative solutions on your hydraulic spare parts requirements.